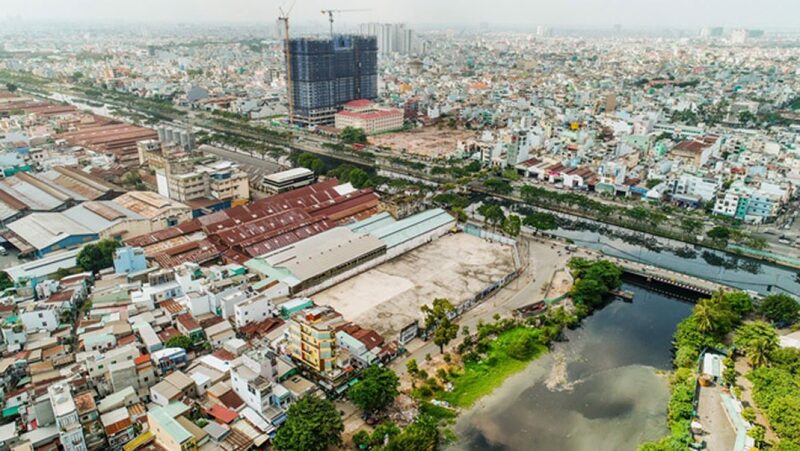 Being invested heavily in infrastructure and is the focus area of ​​urban renovation program, District 8 of Ho Chi Minh City is increasingly “shuffle” to become the nucleus of urban Southwest. Along with the terrain of many rivers and canals, district 8 is creating a great attraction for real estate investors in the trend of hunting land fund overlooking the river. From a focus area of ​​slum and black water, district 8 is gradually transformed into a modern and quality city. In the urban upgrading program of the city, by 2020, District 8 will relocate about 20 thousand houses along canals to improve urban beauty. The appearance of the canals in District 8 is gradually changing with the program of renovation. The goal of the district 8 is to create green habitat suitable for terrain characteristics. District 8 will also be a key investment area for infrastructure with many value projects. Looking forward, Binh Tien Bridge will be started to help District 8 keep its central position, connecting the southwest with the rest of the city. With the topography of 23 canals and improving the quality of the city, District 8 is attracting real estate investors to race in the trend of river view. Currently, according to the survey of market research units, the river view project is 15% higher than the real estate market in general and is increasing. A project with “land bank” two front river overlooking Ben Binh Dong is causing fever right after publication. This is the land of gold in District 8 thanks to the center of infrastructure and inherit the advantage of river frontage. You are reading the article The change of district 8 into the heart of the real estate market in the Real Estate category at https://realestatevietnam.com.vn/.Any information sharing, feedback please email to info@realestatevietnam.com.vn, Hotline 0909890897 (24/7).